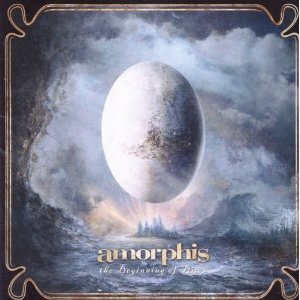 Hall of the Mountain King: Review: Amorphis, "The Beginning of Times"
This one doesn’t quite reach the heights of Skyforger, but neither is it a step backward. Musically, it follows much of the same formula of the previous record, a blend of progressive and folk metal painted with just a few touches of their more extreme past. The songs lack the immediacy of some of the catchier tunes on Skyforger, but come together as a more cohesive whole, making this record something that requires a little time to absorb. Like much of Amorphis’ work, The Beginning of Times is based on the Finnish epic poem, the Kalevala, and focuses primarily on the character Vainamoinen. Originally the Finnish god of chants, songs and poetry, Vainamoinen in the Kalevala is more of a magician and hero. You don’t need to know that to enjoy the music, but if you want to do a little research and dig a little deeper into the songs, there you go. The record opens with a dark and ancient-sounding piano line with a mystical sort of synth drone in the background. As the band kicks in it becomes a more grandiose folk piece, and Joutsen blends clean vocals with death growls throughtout the song. 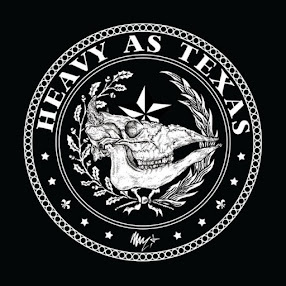 Between verses, there’s also some heavier guitar riffing that, while not exactly death, certainly offer a nod to their death metal past. It’s a bit more restrained than the energetic “Sampo,” which opened Skyforger, but it still gets the record off to a solid start. It’s followed up by two of the better tracks on the album. “Mermaid” opens with another haunting piano melody and some female chants from guest vocalist Netta Dahlberg. It’s another interesting mix of mythic melodies and hard rock crunch with a big soaring chorus. Dahlberg’s contributions are simplistic and largely in the background, but make a huge difference on the song. “My Enemy” is one of the more aggressive tracks on the record, featuring Joutsen’s death growls more prominently and a much more metallic feel in the guitars of Tomi Koivusaari and Esa Holopainen. The chorus, though, returns to the more melodic folk, offering the same contrast that’s always been found in Amorphis’ best work. “You I Need,” the first single from the album, treads the same territory as Skyforger’s first single “Silver Bride.” It’s a very melodic piece with some commercial hard rock sensibilities and a big chorus. It’s not quite as memorable as “Silver Bride,” which despite its more commercially-appealing nature was one of the strongest pieces on that record. Still, it’s a very good song and would make a good introduction to the band for those that are perhaps a little squeamish about some of the more extreme and different elements of the band. Rather than the big bang, The Beginning of Times is more of about textures, and there are plenty. On “Reformation,” the band opens with a nice, sort of mystical piano and drum piece that soon morphs into a layered guitar attack before settling back at a quieter mid-pace for the verse. “Three Words” offers up some dramatic heavy guitar riffing, but also provides a good showcase for Joutsen’s melodic vocals with another big soaring chorus. “Escape” opens with a dark, almost militaristic melody before opening up into a more upbeat gallop that also manages to incorporate that early melody line. “Soothsayer” dips back a little into the band’s past with some more folk sounds and verses heavy on death growl vocals. It also marks the second appearance of Dahlberg who provides an eerie harmony with Joutsen. Toward the end of the record, a couple of the songs are less memorable, but there’s not really a bad one in the bunch. Amorphis is in fine form and firing on all cylinders, offering a piece of work that’s haunting, mystical and beautiful in its variety. It doesn’t give the listener the instant gratification that some of the songs on its predecessor, Skyforger, did, but neither does it disappoint. The Beginning of Times is a much more immersive experience, and every bit as powerful in its own way.